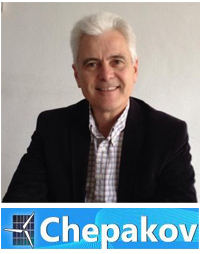 Mr. Chepakov, tell us more about your new activity - "smart home" systems, "smart office / hotel facility." Please tell us about some of your recently completed projects. 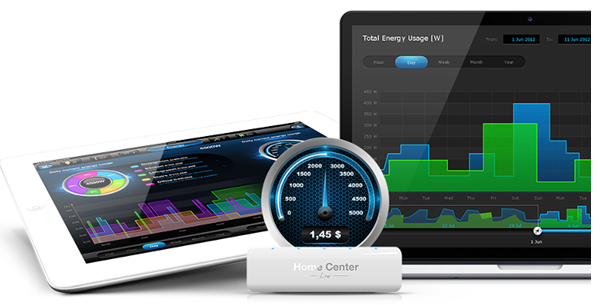 Recently we installed a smart-home z-wave based solutions for one customer in Burgas. He wanted to control motorized blinds, air-conditioners, lighting, boiler, his floor heating. Now, he is able to do that from this phone/PC/tablet, from a mini-remote control in his house, but, most importantly - their control can be done semi-automatically. For example - we implemented an energy-saving function for his motor-blinds. We programmed it to go up/down based on room's temperature and outside conditions. This way, during the winter, the blind can save energy, because the blind will go up by itself if you are away, the room is cold and the weather is sunny; the reverse will happen during the summer - if the temperature in the room is high and outside is sunny - the blind will automatically go down. This behavior will save energy as the need for air-conditioner in the room will be decreased. Another application is the switching-off of multiple appliances when the customer is away (which again achieves energy-savings). We also have a "Vacation" function, which automatically switches on some lights and blinds in order to imitate that somebody is at home. Your company are working more than 10 years in the renewable energy sector. What new products will you present at the exhibition and what business visitors would like to be in contact? Our company will present a new range of ultra-fast MPPT trackers. They have high input voltage-range and can work in 12V, 24V and 48Vdc systems. They are suitable both for small PV installations and for projects that require large PV input power. In 2016, we will also present a new range of battery chargers with IP65 rating for 12V and 24Vdc battery system. With their high resistance to dust, water, chemicals and machine oil and high efficiency, their are an important part of the engine room for yachts and are used in mobile application and other industrial applications. They have a seven step smart charge algorithm, function for recovery of fully discharged ‘dead’ batteries, low power mode to charge smaller batteries and can charge Li-ion batteries. What are the latest innovations in the solar systems – where are they most successfully implemented in our country and what are the specific benefits? With the fall of PV's prices, photovoltaic systems have more and more applications - from powering remote farms/houses/telecoms, to powering large industrial buildings. More and more customers discover the PV systems as a reliable and not-so-expensive power source. Our company developed a wireless system that utilizes the excess energy in battery based systems. Such excess energy is present in almost each system, due to the high production in summer months. Our systems wirelessly controls appliances depending on the current conditions.